Lorsque l'ESTONIE retrouva son indépendance après la chute de l'URSS, elle rétablit ses Ordres antérieurs lors de plusieurs lois votées en 1996, 1998, 2001 et 2002. Actuellement, le pays comporte six Ordres officiels. Pursuant to the Decorations Act passed by the Riigikogu on 11 December 1996, amended on 13 May 1998, 17 April 2001 and 19 June 2002, Estonia has six state orders. Premier Ordre du pays, Cet Ordre fut créé en 1936 par le Gouvernement de la République pour récompenser les services exceptionnels, civils et militaires en faveur de la liberté. 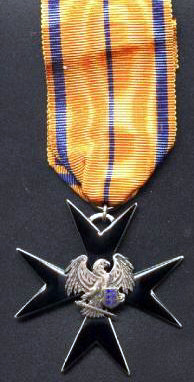 L'Ordre comporte 5 classes et, à cet Ordre , est rattachée une médaille à 2 classes (or et Argent). Cet Ordre fut aboli en 1940, quand l'URSS annexa ce pays pour en faire une République Socialiste Soviètique. L'Ordre fut rétabli en 1996 après l'indépendance du Pays. 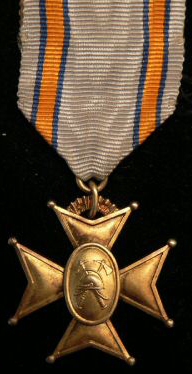 The Order of the White Star was instituted in 1936 to commemorate the fight of the Estonian people for freedom. 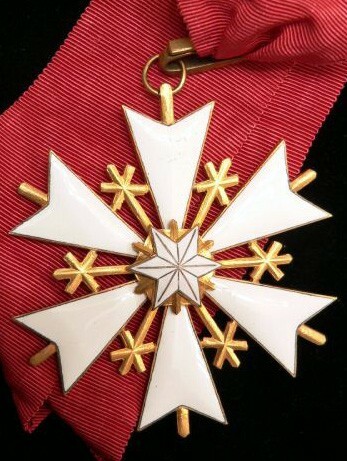 The Order of the White Star is bestowed on Estonian citizens to give recognition for services rendered in state public service or local government and on foreigners for services rendered to the Estonian state. 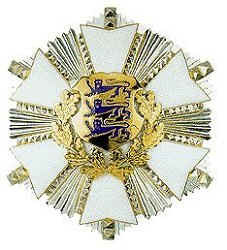 The Order of the White Star comprises seven classes. L'Ordre fut créé en 1936 pour commémorer l'indépendance du pays, proclamée le 24 février 1918. Il est réservé aux Estoniens. L'Ordre comporte 6 classes. The Order of the National Coat of Arms was instituted in 1936 to commemorate 24 February 1918, the day on which Estonian independence was declared. 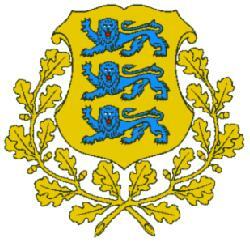 The Order of the National Coat of Arms is bestowed only on Estonian citizens as a decoration of the highest class for services to the state. The Order of the National Coat of Arms comprises six classes. L'Ordre fut institué en 1919 pour récompenser la lutte pour la liberté lors de la guerre d'indépendance. Il est destiné aux militaires. 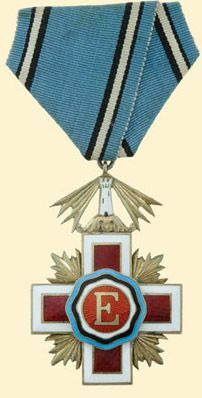 The Cross of Liberty was instituted in 1919 in order to give recognition for services during the Estonian War of Independence. 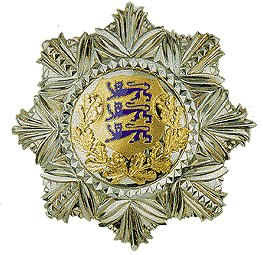 The Cross of Liberty is a military decoration in the event of war conducted to defend Estonian independence. 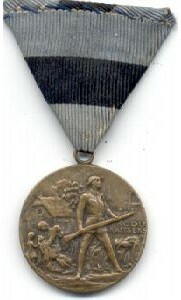 Bestowal of the Cross of Liberty was terminated in1925. L'Ordre fut créé en 1920 pour récompenser les services humanitaires, il comporte 6 classes. 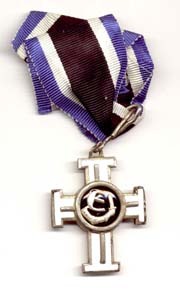 The Order of the Estonian Red Cross was in 1920 instituted by the Estonian Red Cross Society. 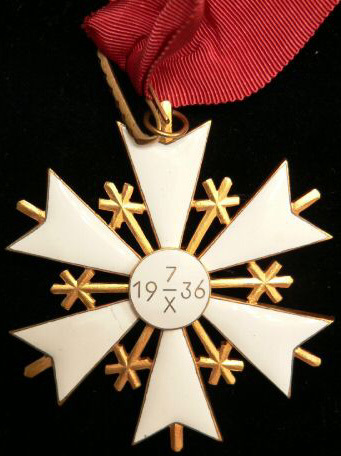 The Order of the Estonian Red Cross is bestowed in order to give recognition for humanitarian services rendered in the interests of the Estonian people and for the saving of life. The Order of the Estonian Red Cross comprises six classes. L'Ordre fut créé en 1928 pour commémorer le 10° anniversaire de l'Indépendance du Pays. Il comporte 8 classes. 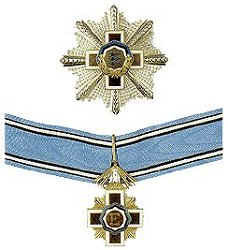 The Order of the Cross of the Eagle was instituted in 1928 by the Defence League to commemorate the tenth anniversary of Estonian independence. 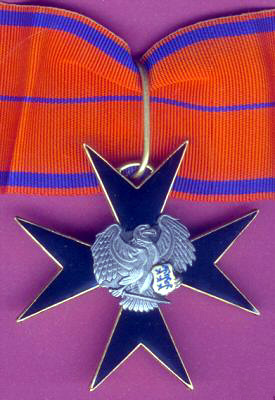 The Order of the Cross of the Eagle is bestowed for military services and services in the field of national defence. 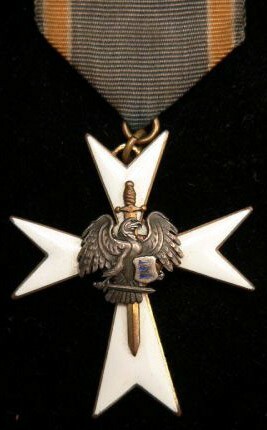 The Order of the Cross of the Eagle comprises eight classes. L'Ordre fut créé en 1995 en l'honneur de l'Indépendance retrouvée du Pays. Il est décerné aux étrangers qui ont rendus de signalés services à l'Indépendance du Pays. L'Ordre comporte 6 classes. 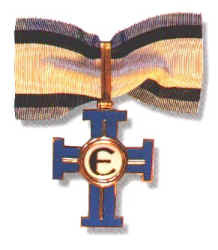 The Order of the Cross of Terra Mariana was instituted in 1995 to honour the independence of the Estonian state. 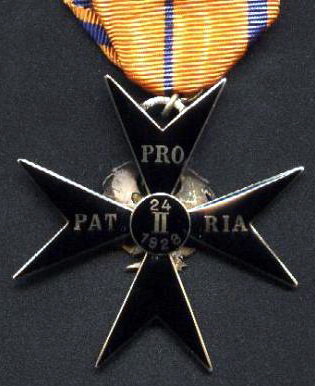 The Order of the Cross of Terra Mariana is bestowed by the President of the Republic on foreigners who have rendered special services to the Republic of Estonia. The Order of the Cross of Terra Mariana comprises six classes.